Professionally, the idea of recruitment depends on itself. It is very obvious that people need jobs in order to meet up with their daily need while at the same time jobs also need the help of the people to do them. This means that we can define recruitment as the ideal method of searching, attracting, testing and finally choosing the qualified applicant for the job. This is more or less the same as match- making in the bodied business world. The major sources of big and small companies that help to fill up the positions which are in need of applicants in the organizations are the recruitment agencies. These companies contract out the employment activities to the recruitment agencies in order to make it more efficient and effective. The recruitment agency outsource for the potential candidates that will be suitable for the particular job position which is usually carried out via the advertising method. This advertising method could be online or offline. Some people even use search process through social network such as facebook, twitter or LinkedIn. When this is done, the next thing to do is to go through the list of the possible candidates for this job to see if they are qualify for such position through their requirements before the next process is taken. This could be proved through tests and interviews. As soon as the qualified candidate is selected for the position via test and interview, the candidate will be contacted and given the job due to his or her performance in the recruitment process. If the candidate accepted the offer, then the work will start base on this particular position. Immediately the candidate is on board, the follow-up process will follow for the candidate to be able to work in the new position more efficiently. This aspect is very crucial because this is how to know the effectiveness of the recruitment agency. They ensure that the selected candidate is able to fulfill his or her responsibility in the position assigned to him or her. This must be highly imperative; otherwise the whole effort of the recruitment agency is meaningless. If the selected candidate is not effective, then we can say that the recruitment agency that presented the candidate to the company is useless. 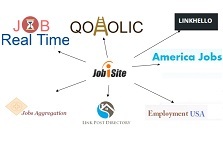 In the final analyses, the recruitment agency and recruiting for the jobs is very crucial in the recruiting industry. The business matches each other. This kind of idea help to search for the potential candidate and high valuable talented one that can help to fill the job opening in an organization and at the same time be efficient and effective in the position given to him or her. By so doing, it will contribute greatly to the bottom line of the company. With this great work, the recruitment agencies are paid huge amount of money for this great work.